Motorists face the possibility of having their vehicles stolen everyday. Not only can this be a traumatic occurrence but it can also be detrimental to your ability to get around. Regardless of how much you try to keep your car safe there is still a chance that your vehicle is at risk. Protecting your car from potential thieves is essential. 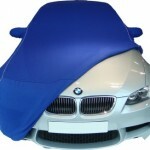 You need to adhere to every viable solution to keep your car secure at all times. Auto theft is not uncommon and is a very serious issue. Numerous unsuspecting motorists have their vehicles stolen every single day. These thefts cost billions to deal with. Every vicinity whether a big city or rural area is vulnerable to auto theft problems. Assuring the safety of your vehicle and any possessions held inside is quite straightforward. The most obvious thing to do is to always make sure your car is locked whenever it is left unattended. Be responsible for the whereabouts of your keys at all times, always make sure they are not left in the ignition. You will be an easy target for any car thief if your keys are sitting freely in the ignition. Leaving them in the ignition is almost like asking car thieves to drive off with your vehicle. Always ensure our car is locked. If you are unsure then check and double check to make sure the car is locked properly. If you are heading out when its dark then make sure you keep your vehicle in a well lit area. Car thieves are less likely to try and steal a car if there are lots of witnesses around. Keep any valuable items in your car well hidden. If transporting your expensive laptop in your car is not a necessity then you should prevent leaving it in your vehicle. If valuables are on show then car thieves are likely to spot them. Ensure your car windows are completely sealed whenever your car is left unattended. Although this advice seems obvious some people disregard the importance of keeping the windows sealed and keeping valuables out of sight. Have an efficient alarm system installed in your car. Have alarm system identification marks placed all around your vehicle. 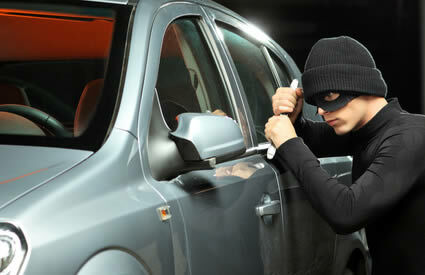 Car thieves are less likely to attempt to steal your vehicle if they think that an alarm system will get them caught. A loud alarm system will prevent any thief from trying to possess your car. Have an anti-theft device installed. 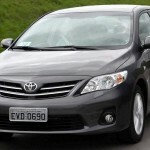 Anti-theft devices have helped to reduce the percentage of car theft crimes all over the world. Anti-theft devices work by preventing the car from being able to start should it be stolen or corrupted in any way. This will make it impossible for any thieves to hot wire your car. A lot of new cars already have anti-theft devices installed in them. It is essential to have an anti-theft device installed if your car does not currently have one. Your vehicle will be greatly protected if one of these devices is installed. Tracking devices are also ideal. If you have a tracking device installed in your car then this will enable the police to locate your vehicle in no time at all. Having a tracking device installed is a great investment. If a car thief manages to break into your car then this will alert the police straight away. 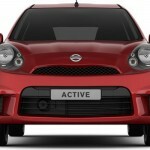 You can often get discounts on tracking devices from a number of insurance firms. Several insurance companies also offer discounts on additional safety devices to help keep your car as protected as possible. Derick wrote this article to give advice to car owners, the cars he is not using and are projects he uses car covers to stop weather damage such as rust.